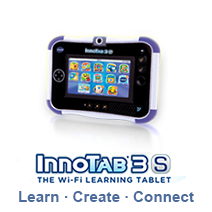 VTech Canada InnoTab children learning tablets. 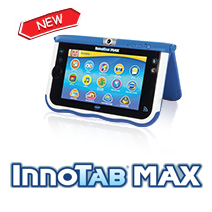 InnoTab™, an interactive learning tablet for kids that brings all the magic’s of Mom’s and Dad’s tablets into a fun-filled learning experience for kids that fits their active lifestyles. 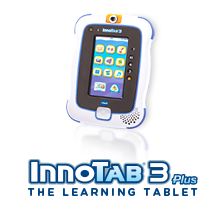 InnoTab is the next generation of learning toys for children ages 4-9 in Blue and Pink color. 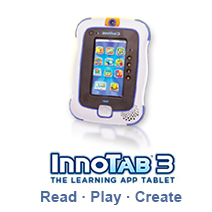 It has a rich library of software cartridges with interactive animated e-books, learning games, creative activities along with a wide variety of additional apps. 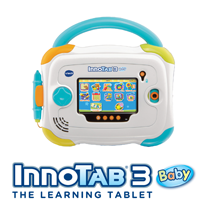 InnoTab also provides the useful accessories like AC adapter, Storage Tote in Blue or Pink, Car Adaptor, e.t.c. 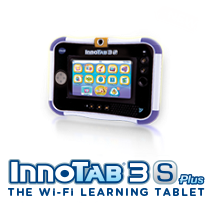 Kids can look, listen, touch, and tilt their way through activities to discover a world of fun whenever they want and wherever they go.